Please click below to read the letter from Amanda Phillips CBE, regarding changes to the Paradigm Trust Board. 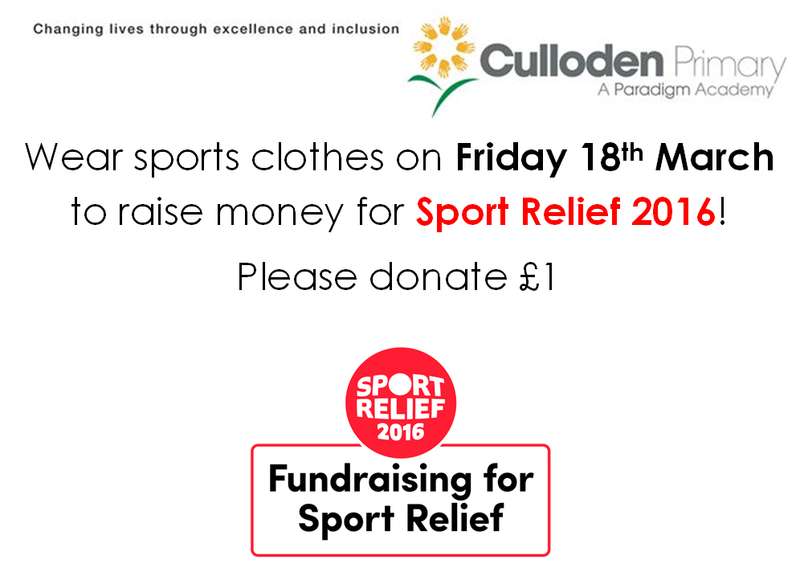 Let’s raise money for Sport Relief! Our choir is taking part in Young Voices at the O2 today. We wish them a wonderful evening! We are aware that there is an issues with our phone lines this morning meaning that some callers have been unable to reach the office; instead they hear an engaged signal or are redirected to any free extension within the school. BT are currently working to resolve this issue. We apologise for any inconvenience caused. An INSET day has been set for Monday 11th April 2016; the school will be open to staff only. This means that pupils will be on Spring Break from Friday 24th March to Monday 11th April 2016, inclusively. Pupils will be expected to return to school on Tuesday 12th April 2016.